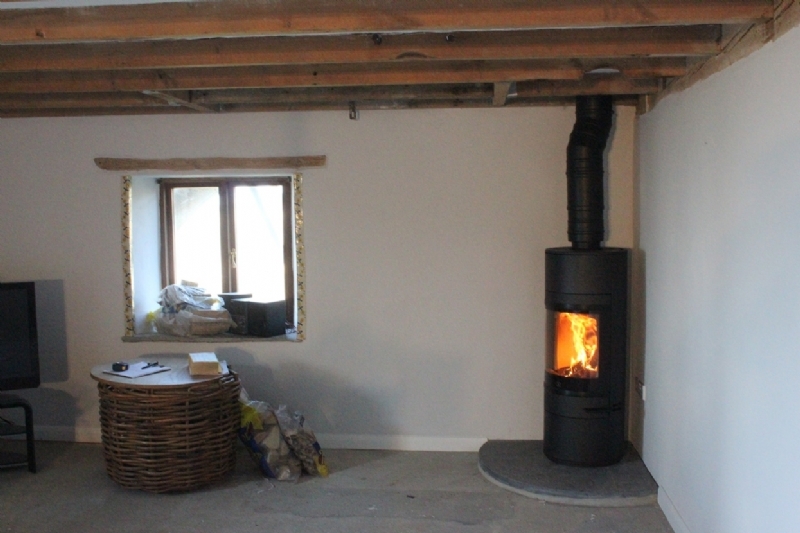 Scan 83 being installed in a holiday home in Tredizzick wood burning stove installation from Kernow Fires. 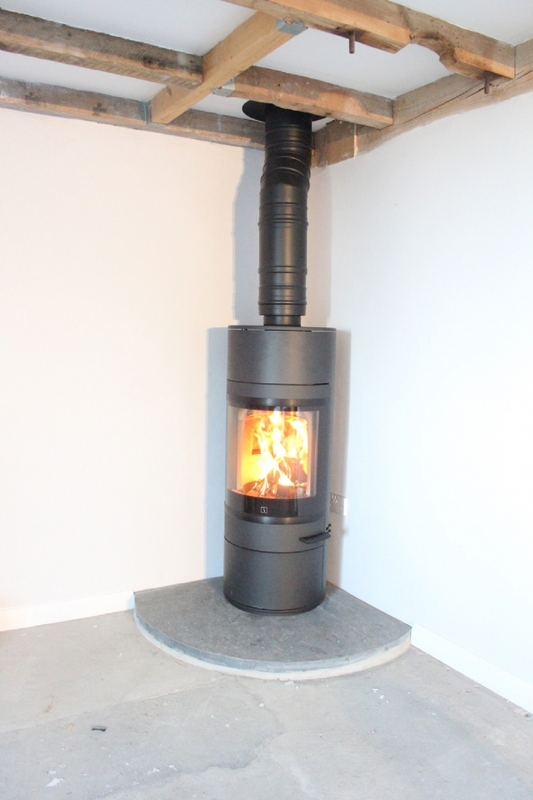 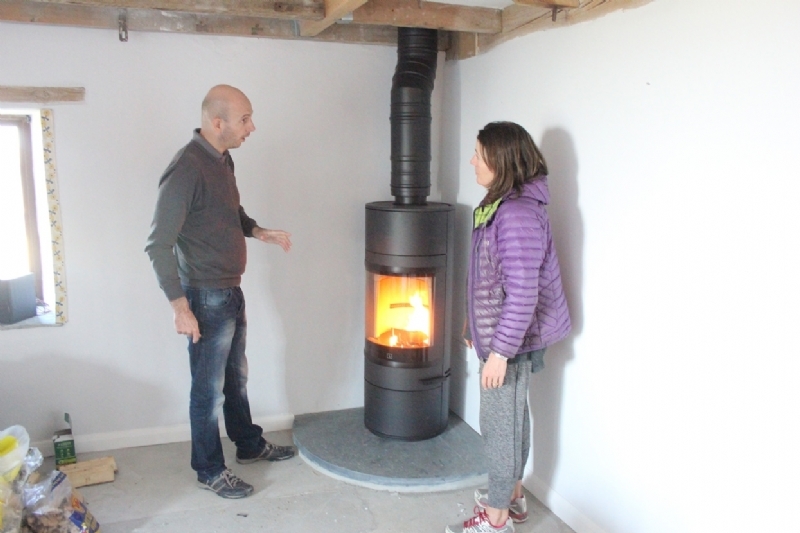 The chimney was easily solved using a twin walled flue system. 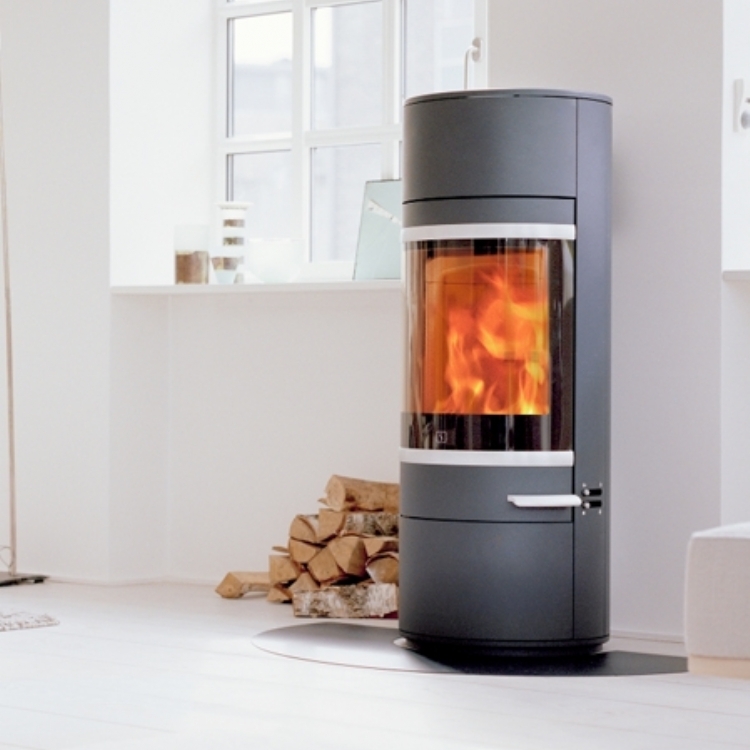 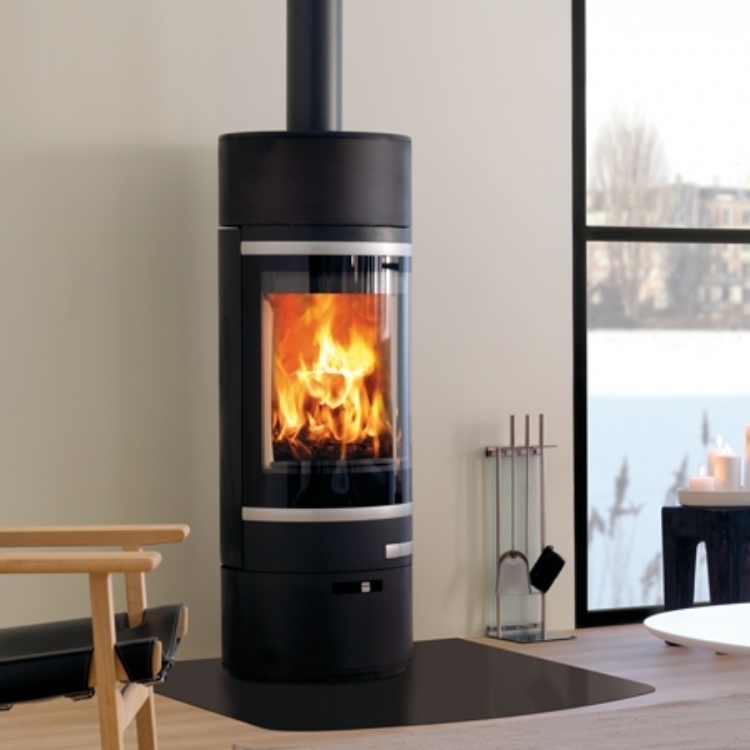 The Scan 83 gives a good view of the flames from any part of the room thanks to the curved glass.